On July 29th, 2016 at approximately 1 a.m. an experienced Air Ambulance Pilot, Captain Larry Mills employed by Cal-Ore Life Flight, was killed in the line of duty. 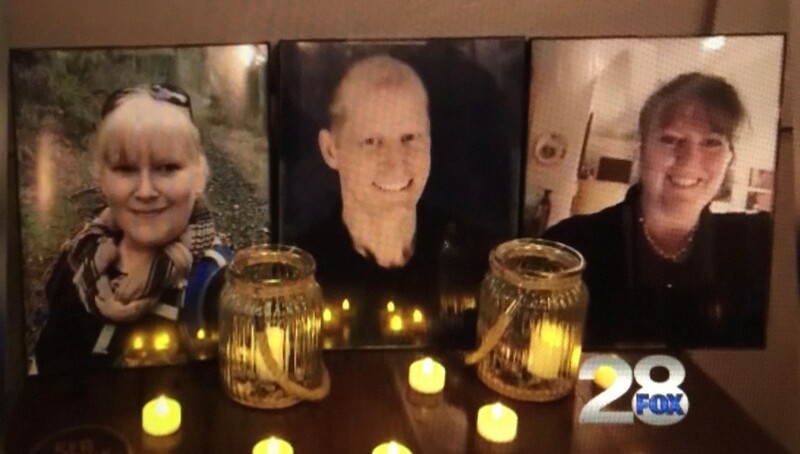 His medical crew Debra Kroon, Michelle Tarwater and his patient April Rodriguez were also stripped of life. About 13 minutes after takeoff for a medical transport flight, while climbing through about 14,900 ft mean sea level (msl), the pilot reported to air traffic control (ATC) that he was smelling smoke in the cockpit and would be returning to the originating airport. The flight was cleared to return with a descent at pilot's discretion to 9,000 ft msl. The pilot replied, "okay," and said that it looked like he was going to lose some power shortly. The pilot then stated that he had smoke in the cockpit, declared an emergency, and requested that ATC contact the fire department. About 1 minute 15 seconds after the initial report of smelling smoke, the pilot made the last radio transmission of the flight stating that he had three people on board. 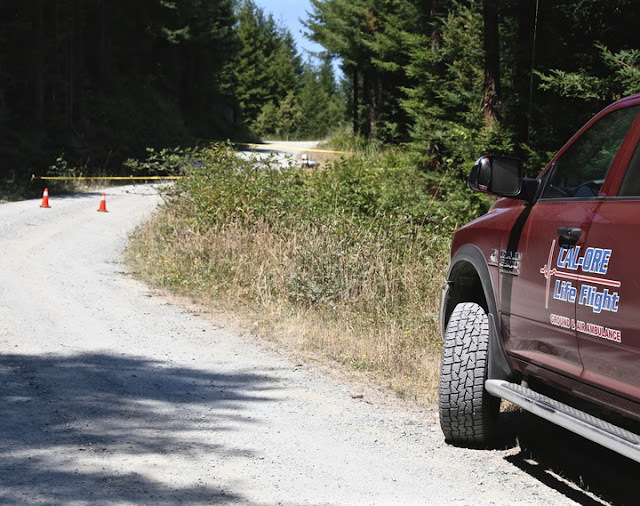 The wreckage was located about 9 hours later in an area of brush and heavily forested terrain. Portions of the burned and fragmented wreckage were scattered along a debris path that measured about 2,400 ft in length, which is consistent with an inflight breakup. The center fuselage and cockpit areas were largely intact and displayed no evidence of fire; however, there was an area of thermal damage to the forward fuselage consistent with an inflight fire. The thermal damage was primarily limited to the floor area between the two forward seats near the main bus tie circuit breaker panel and extended to the forward edge of the wing spar. All exposed surfaces were heavily sooted. Some localized melting and thermal-related tearing of the aluminum structure was present. The primer paint on the floor panels under the right aft corner of the pilot seat and the left aft corner of the co-pilot seat was discolored dark brown. An aluminum stringer in this location exhibited broomstrawing indicating that the stringer material was heated to near its melting point prior to impact. 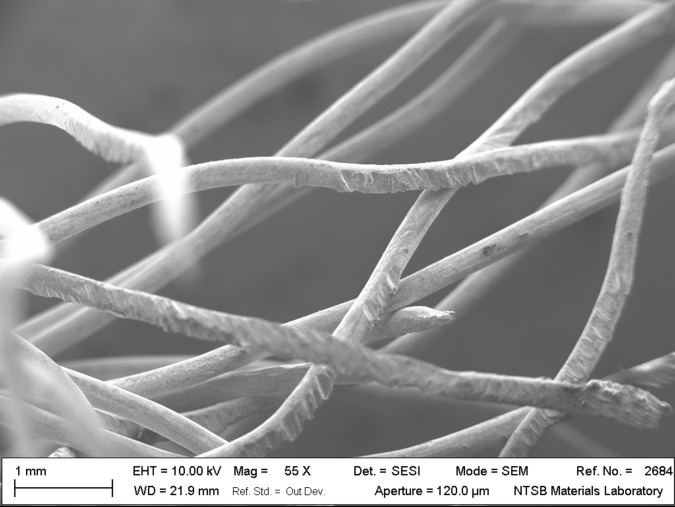 A single wire located in the area exhibited notching consistent with mechanical rubbing. The main bus tie circuit breakers were partially missing. The remaining breakers were heavily sooted on their aft ends, and one breaker was thermally discolored. Areas of charring were on the backside of the panel. Examination of the wiring in this area showed evidence of electrical arcing damage. Four hydraulic lines servicing the landing gear system were located in this area, and all the lines exhibited signs of thermal exposure with melting and missing sections of material. Six exemplar airplanes of the same make and model as the accident airplane were examined, and instances of unsafe conditions in which electrical lines and hydraulic lines in the area of the main bus tie circuit breaker panel were in direct contact were found on all six airplanes. Some of the wires in the exemplar airplanes showed chafing between hydraulic lines and the electrical wires, which, if left uncorrected, could have led to electrical arcing and subsequent fire. Based on the unsafe conditions found during examination of the exemplar airplanes and the thermal damage to the area near the main bus tie circuit breaker panel on the accident airplane, including broomstrawing of the aluminum structure, electrical arcing damage to the wiring, and melting of the hydraulic lines, it is likely that an electrical wire near the tie bus circuit breakers chafed on a hydraulic line and/or airplane structure, which resulted in arcing and a subsequent in-flight fire that was fed by the hydraulic fluid. An inflight fire in the floor area near the main bus tie circuit breaker panel that resulted from chafing between an electrical wire and a hydraulic line and/or airplane structure. 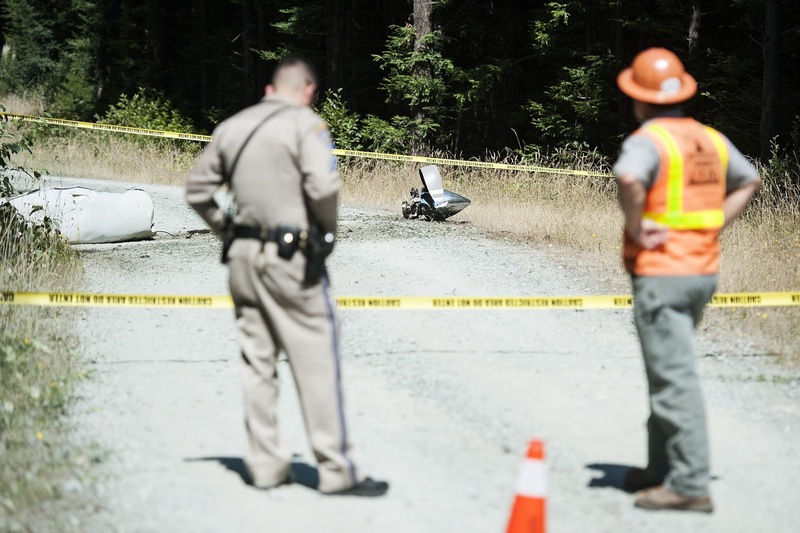 On July 29, 2016, about 0105 Pacific daylight time, a Piper PA-31T Cheyenne II airplane, N661TC, broke up in flight and impacted the ground shortly after the pilot reported smoke in the cockpit near Arcata/Eureka Airport (KACV), McKinleyville, California. The airline transport pilot, two medical personnel, and the patient were fatally injured. The airplane was destroyed. 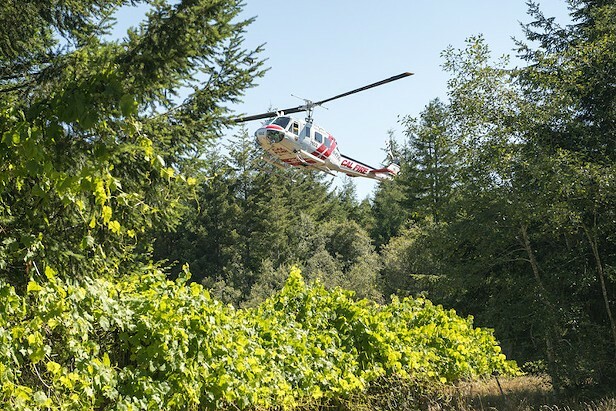 The airplane was being operated by Cal-Ore Life Flight as an instrument flight rules (IFR) air ambulance flight under the provisions of Title 14 Code of Federal Regulations Part 135 when the accident occurred. Instrument meteorological conditions prevailed, and company flight following procedures were in effect. The flight departed Jack Mc Namara Field (KCEC), Crescent City, California, at 0045 destined for Oakland International Airport (KAOK), Oakland, California. A postaccident review of Federal Aviation Administration (FAA) radar data and voice communication revealed that, the medical transport flight, which was using the call sign Lifeguard November (LN) 661TC, departed KCEC, was radar identified by air traffic control, was instructed to climb to 15,000 ft mean sea level (msl), and was cleared to KAOK as filed. At 0058:13, the pilot contacted the Seattle Air Route Traffic Control Center (ZSE) controller working the flight and stated that he was going to turn back to Crescent City and that he was smelling smoke in the cockpit. Radar data indicated that the airplane's altitude about that time was 14,900 ft msl, and the airplane was on a southeast heading. At 0058:25, the ZSE controller cleared the pilot direct to Crescent City, issued him a descent at pilot's discretion to 9,000 ft msl, and told the pilot to inform her if he needed anything else. Radar data indicated that the pilot initiated a right turn to a northwest heading about that time, which continued until about 0059:50. At 0058:42, the pilot said that it looked like he was going to lose some power shortly and that he would keep the controller posted as long as he could. At 0058:53, the controller issued the pilot the Crescent City altimeter setting of 29.98 and requested the number of souls on board and fuel remaining. At 0059:07 the pilot stated that he had smoke in the cockpit, declared an emergency, was depressurizing and heading back to Crescent City, and asked the controller to call the fire department. 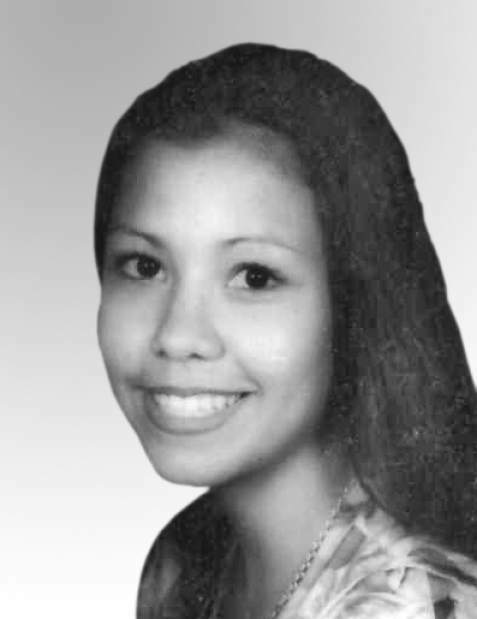 At 0059:24, the controller replied that she would and asked again how many people were on board the airplane. The airplane's altitude fluctuated between 14,900 ft and 15,400 ft between 0058:14 and 0059:26. About 0059:26, the radar data indicated that the airplane was on a northwest heading at an altitude of 15,200 feet msl when Mode C radar data was lost, and no further altitude information was received. At 0059:28, the pilot stated that he had three souls on board. There were no further communications from the pilot despite multiple attempts by ATC controller. From about 0059:38 to 01:00:50, primary radar data returns corresponding to the airplane's position indicated that the airplane continued on a northwest heading, followed by a left turn to a southeast heading. From 01:01:26 to 01:02:02, the airplane continued on a southeast heading. It then began a gradual right turn to a west heading that continued until 01:02:50 when the airplane was lost from radar; the airplane at that time was located at about 53.5 miles south of KCEC and about 6 miles northeast of KACV. 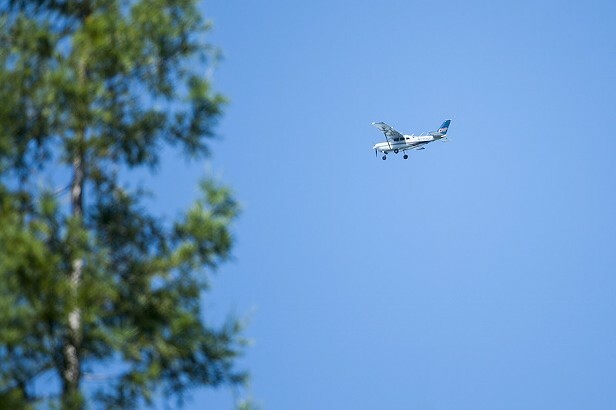 An alert notice was issued by the FAA at 0210, and an extensive search was launched. 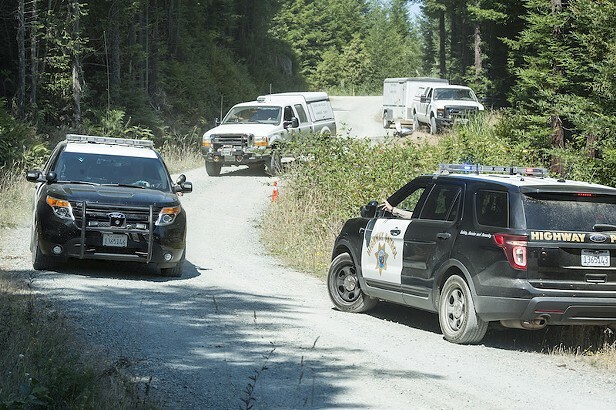 Search operations were conducted by personnel from the U.S. Air Force Search and Rescue, California Highway Patrol, U.S. Coast Guard, and the Humboldt County Sheriff's Office. 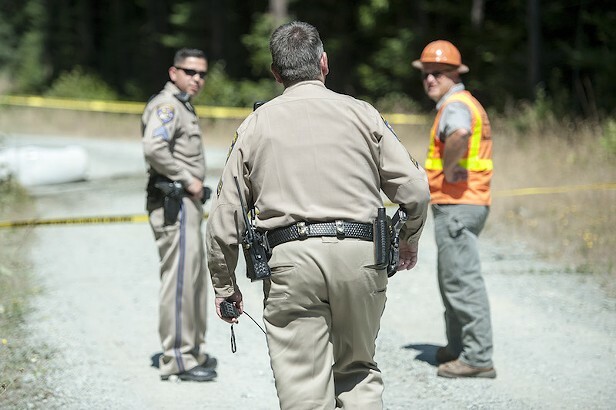 About 1011, searchers located portions of the heavily fragmented wreckage that were positively identified as belonging to the airplane at 1029. 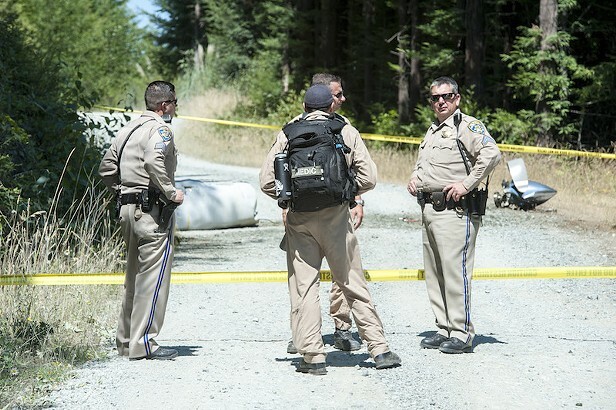 During a telephone conversation with an NTSB investigator, a witness located near Cookson Camp, Arcata, California, reported that, in the early morning hours of July 29, she heard an airplane circle overhead before proceeding westward followed by about 15 seconds of silence. While looking out the window of her tent, she saw a large dome-shaped flash to the west, followed by another flash and a loud rumble. The pilot, age 54, held an airline transport pilot certificate with an airplane multi-engine land rating. Additionally, he held commercial pilot privileges for airplane single-engine land and rotorcraft-helicopter. He also held a type rating for A/BE-1900 airplanes and a certified flight instructor certificate with airplane single-engine land, multi-engine land, instrument airplane, and rotorcraft-helicopter ratings. His most recent second-class medical was issued on July 25, 2016, with the limitation that he must have available glasses for near vision. According to the operator's training records, the pilot completed training and was assigned for duty as a pilot-in-command in Piper PA-31T aircraft on May 12, 2016. 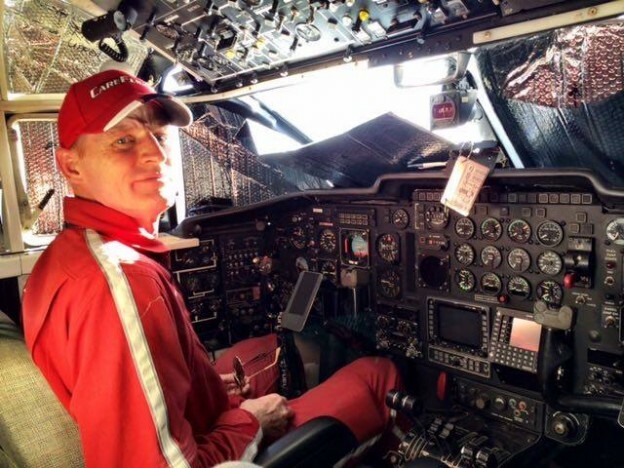 He was hired with 7,300 hours total flight time, 1,378 hours of actual IFR, 179 hours of simulated IFR, 3,178 hours of night time, 5,174 hours of VFR cross country, and 3,100 hours of night cross country. In addition, at the time of the accident, he had accumulated about 125.5 hours in the accident airplane make and model. His most recent airman competency/proficiency check, which was administered by a company check airman, was completed on May 12, 2016. The pilot's flight and duty records revealed the he was off duty on July 25 and 26. On July 27, his duty day started at 1700 and ended on July 28 at 0500, and he flew 3 hours 40 minutes. On July 28, his duty day started at 1700, and he flew 2 hours 05 minutes before the accident. The airplane was manufactured in 1981 and was equipped with retractable landing gear, two Pratt and Whitney PT6A-135A engines, and controllable pitch propellers. It was also equipped with a handheld fire extinguisher, smoke goggles, and a LifePort stretcher system that had been installed in conformance with LifePort supplemental type certificate No. SA00528SE. The modification required additional power requirements, which are discussed below. The operator maintained the airplane in accordance with Piper Progressive Inspections on a 100-hour cycle per Piper document 761-664, dated October 27, 1994. The most recent inspection was completed on July 14, 2016, when the airplane had accumulated 7,286.6 hours total time in service. At the time of the accident, the airframe had accumulated 7,309 hours total time in service. Both the left (S/N PZ0641) and right (S/N PZ0642) engines had accumulated 3,712 hours since new. Both the left (S/N 27825) and right (S/N 27829) propeller assemblies had accumulated 1,662 hours since overhaul. The Piper PA-31T is equipped with a 28-volt direct current electrical system powered by a battery and two starter generators. External power provisions are available for ground operational requirements. The typical power distribution system is of split-bus design with individual circuit protection and separate pilot-accessible bus-tie circuit breakers that includes diode protection and provides operational flexibility during single-engine or single-generator operation. The main bus tie circuit breakers are located on a panel in the floor between the pilot and copilot seats. The cockpit floor separates the pressurized area (cabin) and the unpressurized area (below the circuit breaker panel). The airplane's panel contained, at the time of delivery, twelve circuit breakers (C/Bs) in two rows of six with current ratings ranging from 50 amps (A) to 200 A. The LifePort modification required the addition of two circuit breakers to the main bus tie panel with ratings of 30 A and 50 A. Based on a review of the airplane wreckage and discussions with the owner, the 50 A C/B "EMS INV" was located next to the "Right Generator" C/B on the first row, and the 30 A C/B "EMS PWR" was located next to the "R Main 2" C/B on the second row. In the structural bay, below the floor where the main bus tie panel was located, additional wiring and components for the left and right starter solenoids were mounted. The Piper PA-31T is equipped with two hydraulic systems: one for the retractable landing gear and landing gear doors and one for the airplane's braking system. The nominal landing gear system operating pressure is 1900 pounds per square inch, and the landing gear system remains pressurized during gear extension and retraction operations. The hydraulic fluid used in the hydraulic system is MIL-H-5606. A hand pump, located in the cockpit floor just forward of the circuit breaker panel, is installed to serve as an emergency pump in the event of a failure of the engine-driven pumps. The pump is accessed by a door in the cockpit floor, and the handle can be extended to allow pump operation. The pump handle, when in the stowed position, is partially located in the structural bay that contains the electrical circuit breakers. Four hydraulic lines for the main landing gear travel from the hydraulic reservoir, along the fuselage below the floor, through the main spar, and then to the left and right main landing gear actuators and door actuators. A production break of the hydraulic line sections is located below the circuit breaker panel, where each of the lines are joined using AN-type union fittings. Aft of the main spar, the lines connect to AN-type T-fittings and proceed to the main landing gear bays in the left and right wings. The Piper PA-31T fuel system consists of independent left and right fuel systems that are connected to each other by a crossfeed system. Each inboard fuel tank contains two submerged fuel boost pumps. 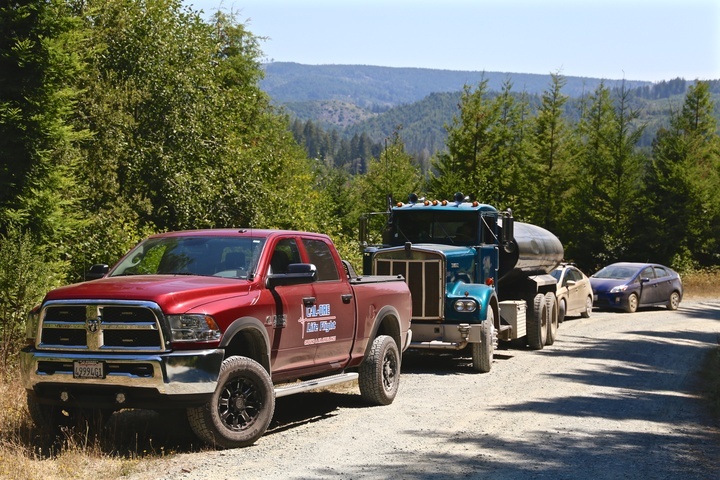 One fuel pump must be operating any time its respective engine is in operation in order to supply fuel under pressure to the engine-driven fuel pump. Fuel pump operation for each side is controlled by a three-position switch on the overhead panel. Each set of wing tanks contains a fuel shutoff valve mounted on the inboard side of its respective wing root. The fuel crossfeed valve is mounted on the inboard side of the left wing root. Each valve is operated by a push-pull control lever that is mounted on the cockpit floor against the main spar housing just aft of the circuit breaker panel. The crossfeed fuel system line from the right fuel system to the left fuel system is routed underneath the cockpit floor along the forward face of the main spar. A tee is located in the fuel line along the right side of the airplane in the fuselage to provide fuel for the Janitrol heater located in the nose of the aircraft. No portion of the fuel lines are located in the structural bay that contains the circuit breaker panel. For additional information regarding the airplane's systems refer to the Systems Group Chairman Factual Report located in the public docket for this accident. At 0107, KACV, located about 6 miles southwest of the accident site, was reporting, in part, wind 180° at 4 knots, visibility 1/2 statute mile in mist, runway 32 visual range 4,500 ft variable to greater than 6,000 ft, ceiling 200 ft overcast, temperature 55°F, dew point 54°F, and altimeter 29.85 inches of mercury. The accident site was located in an area of brush and heavily forested terrain. Portions of the burned and fragmented wreckage were scattered along a debris path oriented along a magnetic heading of 354° that measured about 2,400 ft in length. The first identifiable pieces of wreckage were a horizontal stabilizer tip, the nose baggage door, and the vertical stabilizer. The right engine and both wings separated and were near the middle of the debris field. The fuselage followed by the left engine were the last major pieces of debris. There was no evidence of significant postcrash/ground fire to the wreckage except for the inboard sections of both wings, which sustained severe postcrash fire damage. The fuselage came to rest on its left side and facing the direction of travel. The instrument panel and cockpit exhibited extensive impact damage. The cabin area of the fuselage was largely intact. No sign of postcrash fire was evident. There was an even, lightly adhered coating of light soot over the entire fuselage's exterior skin with several small areas of heavier soot deposits. In addition, evidence of thermal damage was present within the forward section of the fuselage between the pilot and copilot seats. The right wing separated into two main sections. The inboard section was located about 590 ft south of the fuselage and sustained extensive thermal damage. The right flap was in the up position and sustained extensive thermal damage. The right main landing gear was in the up position with the tire and wheel burned in the wheel well. The outboard section was located about 1,055 ft south of the fuselage and exhibited chordwise tension and compression signatures but was free of any leading-edge impacts. 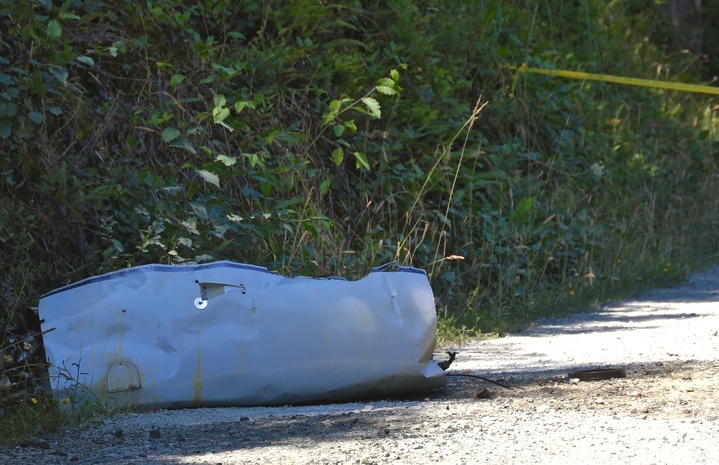 The wingtip fuel tank remained attached to its respective attach points. A 14-inch-section of the right aileron remained attached to the wing. The rest of the aileron separated from its attach points and was not recovered. The left wing separated into two main sections. The inboard section was located about 195 ft southwest of the fuselage and sustained extensive thermal damage. The wing carry-thru spar remained attached to the left wing structure and sustained extensive thermal damage. The left flap was in the up position and suffered extensive thermal damage. The left main landing gear was in the up position with the tire and wheel burned in the wheel well. The outboard section was located about 1,035 ft south of the fuselage and was free of any leading-edge impacts but exhibited extensive thermal damage, with no evidence of postimpact fire. 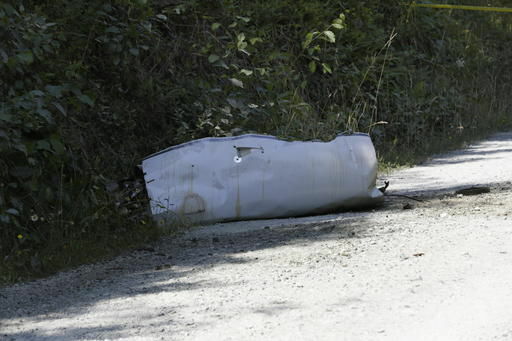 The left wingtip fuel tank and aileron separated from their respective attach points and were not recovered. The vertical stabilizer separated from the empennage and was located about 1,260 ft south of the fuselage. It was covered with a light coat of soot but was free of impact damage. The leading-edge section and a portion of the upper skin of the right horizontal stabilizer were recovered and exhibited upward bending near the root and downward bending midspan with a slight leading edge downward twist towards the tip. The remaining portions of the right horizontal stabilizer and right elevator separated from their respective attach points and were not recovered. 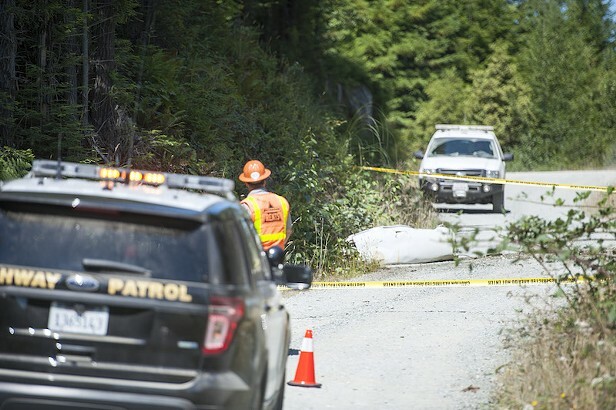 The rudder, left horizontal stabilizer, left elevator, and a small section of the left side of the vertical stabilizer were found in the area of the accident site by timber company personnel about 15 months after the original wreckage was recovered. The exact location was not documented. The small section of vertical stabilizer exhibited localized thermal damage, sooting, and blistering of the exterior paint. The left nacelle separated from the airframe and came to rest on its right side. The left engine remained in the nacelle. The propeller and reduction gearbox forward housing were adjacent to the nacelle. One of the three propeller blades separated from the propeller hub. The engine and nacelle exhibited no signs of thermal damage or postcrash fire. Control continuity could not be established from the engine to the firewall connections due to impact damage. The right nacelle separated from the airframe and came to rest on its left side. The right engine remained in the nacelle. The propeller remained attached to the propeller drive shaft. One of the three propeller blades separated from the propeller hub. The nacelle exhibited light thermal and fire damage to the firewall area. Control continuity could not be established from the engine to the firewall connections due to impact damage. Control continuity could not be established due to numerous fractures in the system and missing cabling and flight control surfaces. All the fractures that were identified exhibited features consistent with tension overload. On August 2 and 3, 2016, the wreckage was examined at the facilities of Plain Parts Enterprises, Pleasant Grove, California. All identified wreckage was visually examined for signatures of an in-flight fire. Thermal damage to the forward fuselage was primarily limited to the floor area between the two forward seats near the main bus tie circuit breaker panel and extended to the forward edge of the wing spar. All exposed surfaces were heavily sooted. There was some localized melting and thermal-related tearing of aluminum structure. The primer paint on the floor panels under the right aft corner of the pilot seat and left aft corner of the co-pilot seat was discolored dark brown. An aluminum stringer in this location exhibited broomstrawing. A single wire located near the stringer was shiny in appearance and suffered mechanical damage to the conductor ends. The left and right forward seats exhibited light thermal discoloration and some thermal related shrinking on the inboard edges. The seat frames exhibited thermal discoloration on the rear inboard legs. The exterior of the aft fuselage was covered in a light coating of soot but was relatively free of thermal damage. The wiring bundles in the floor were intact. One bundle, in the aft fuselage, exhibited thermal damage with insulation missing from the wire conductors. The bare wire conductors were discolored and oxidized. The combustion heater was removed from the nose of the airplane. The heater exhibited no signs of thermal damage, and no sooting was present in any of the ducting. The fuel line for the heater was intact to the forward edge of the wing spar and exhibited no signs of thermal related damage. The majority of the LifePort system's electrical service wiring aft of the main bus tie panel exhibited no thermal-related damage. However, two small isolated thermal discoloration patterns were visible on the surface of the insulation of one of the LifePort system's wires. Both engine external cases exhibited no signs of fire damage or thermal distress. No anomalies, contamination, or evidence of malfunction were found in any of the engine accessories. The examination of the engines revealed no evidence of mechanical malfunctions or failures that would have precluded normal operation. A section of the forward fuselage, wiring and associated components were removed and sent to the NTSB's Materials Laboratory in Washington, DC, for further examination. On November 2 and 3, 2016, the wreckage was reexamined at the facilities of Plain Parts Enterprises. A localized area of thermal damage to a section of wiring was located in a large wire bundle that ran through the center tunnel in the floor of the cockpit. All the insulation was either melted, thermally discolored, or missing. 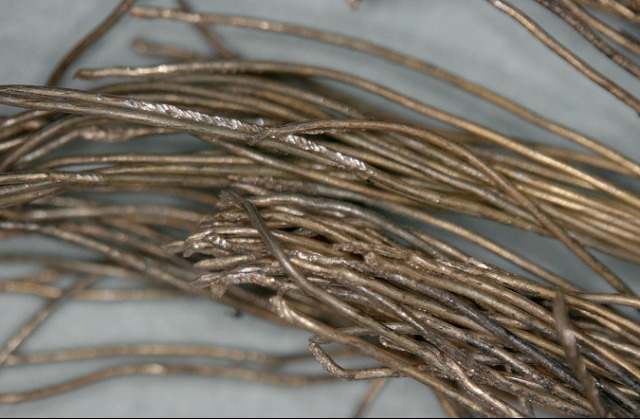 One large gauge wire end was found to have beading, welding and melting on one end. All other wire bundles located in this area were intact and sustained minimal thermal damage. The main bus tie circuit breakers in the panel on the floor between the pilot and copilot's seats were partially missing. The remaining breakers were heavily sooted on their aft ends, and one breaker was thermally discolored. There were areas of charring on the backside of the panel. A majority of the wiring in the area directly around the circuit breakers and in the structural bay containing the circuit breaker panel was either melted, thermally discolored, or missing. The four hydraulic lines servicing the landing gear system were located in this area. All the lines exhibited signs of thermal exposure with melting and missing sections of material. The main bus tie circuit breaker panel, landing gear hydraulic lines, fuel crossfeed lines, and the high voltage wiring that connected to the circuit breaker panel were removed from the airplane and sent to the Materials Laboratory for further examination. For additional information regarding the examination of the airplane for thermal damage, refer to the Materials Laboratory Fire Factual Report, located in the public docket for this accident. 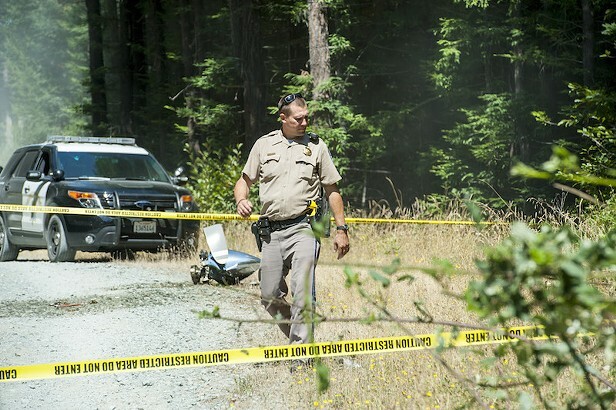 An autopsy was conducted under the authority of the Humboldt County Coroner, Eureka, California, on August 1, 2016. The examination revealed that the right leg of the pilot's flight suit was partially damaged from heat, and his right boot was melted over the top of its buckles. Both his right hand and right lower leg suffered thermal damage. 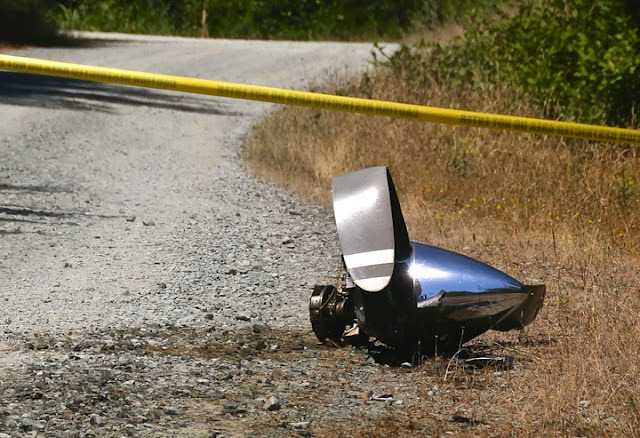 The cause of death for the pilot was attributed to extensive blunt force trauma. The FAA's Bioaeronautical Sciences Research Laboratory, Oklahoma City, Oklahoma, performed toxicology tests on specimens from the pilot, which were negative for carbon monoxide, alcohol and drugs. Multiple electrical wires that were connected to the main bus tie circuit breaker panel were removed from the wreckage and sent to the NTSB's Materials Laboratory for further examination. Sections of the gear up, gear down, door open, and door closed hydraulic lines were removed from the airplane and sent to the NTSB's Materials Laboratory for further examination. The hydraulic lines were constructed of 5050-0 aluminum tubing. All the lines displayed visible signs of heat exposure, and several inches of material were missing from each of the lines. The fractured ends on all the lines were examined and found to exhibit patterns consistent with overstress fracture; some fractures exhibited features consistent with elevated temperature exposure as a contributing factor. On one of the fractured tubes, the gear up line, intergranular fracture features were found. A cross-section of fracture area showed severe grain separation along the grain boundaries, missing grains, and intergranular voids. There were no indications of microstructural features consistent with stress corrosion cracking or embrittlement. For additional information regarding the components examined for thermal damage and residue transfer, refer to the Materials Laboratory Group Chairman Factual Report, located in the public docket for this accident. NTSB and FAA personnel examined the wiring in the area of the main electrical bus circuit breaker panel on six exemplar Piper PA-31T-series airplanes that were maintained by various individuals/operators. On all six exemplar airplanes, electrical lines and hydraulic lines were found in direct contact. Some of the wires in the exemplar airplanes showed chafing between hydraulic lines and the electrical wires. For additional information regarding the exemplar airplane examinations refer to the Systems-Exemplar Aircraft Factual Report located in the public docket for this accident. 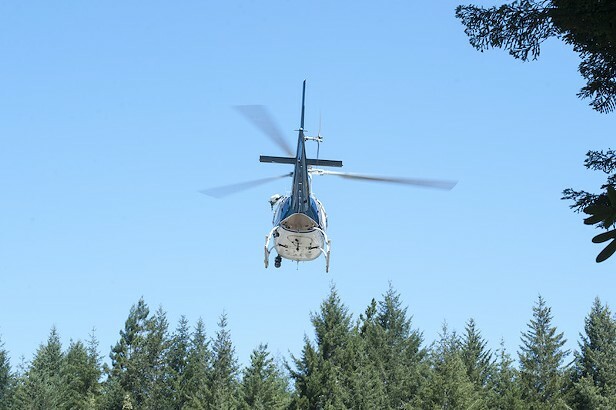 Cal-Ore Life Flight is a 14 CFR Part 135 air carrier that holds on-demand operations specifications and is authorized to conduct business exclusively under the business name Cal-Ore Life Flight. The company headquarters are located at KCEC. The Director of Operations, Chief Pilot, and Director of Maintenance at the time of the accident were all based in Crescent City. 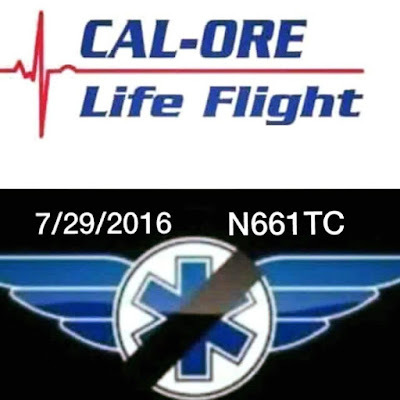 At the time of the accident, Cal-Ore Life Flight operated 7 PA-31T airplanes and employed about 12 pilots. 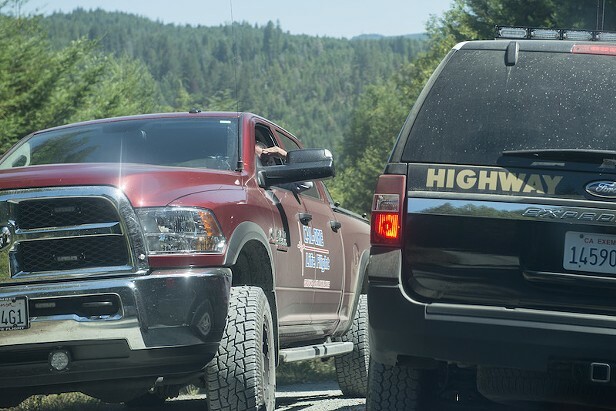 The company had 3 bases located in northern California. FAA Advisory Circular (AC) 43.13-1B, "Acceptable Methods, Techniques, and Practices-Aircraft Inspection and Repair," advises against wires and fluid lines being in contact due to the risk of chafing, which can lead to thermal stress and arcing in an area where flammable liquids are routed. This guidance material specifies a minimum 1/2-inch clearance between the wires and the fluid-carrying lines. On December 16, 2016, the FAA issued a Special Airworthiness Bulletin (SAIB), CE-17-05, concerning wiring on Piper aircraft including the PA-31T series. The SAIB provided information on wiring conditions in the area below the floor mounted circuit breaker panels that could lead to chafing, thermal stress, or arcing. The SAIB recommended best practices for securing high electrical current wires in the aircraft. On January 6, 2017, Piper Aircraft, Inc., issued Service Bulletin (SB) 1301. The SB described procedures for visually inspecting the area below the main circuit breaker panel and rerouting and replacing wires and/or parts as necessary. Issue an emergency airworthiness directive (AD) that requires owners and operators of Piper PA-31T-series airplanes to take the actions recommended in Special Airworthiness Information Bulletin CE-17-05 immediately after the AD is issued. On February 7, 2017, the FAA issued AD 2017-02-06, requiring repetitive detailed visual inspection of the wiring below the floor mounted circuit breaker panels per the Piper SB 1301. The AD's effective date was February 22, 2017, and the AD required the initial inspection to be accomplished within 30 days after the effective date and then at repetitive intervals not to exceed 12 months. 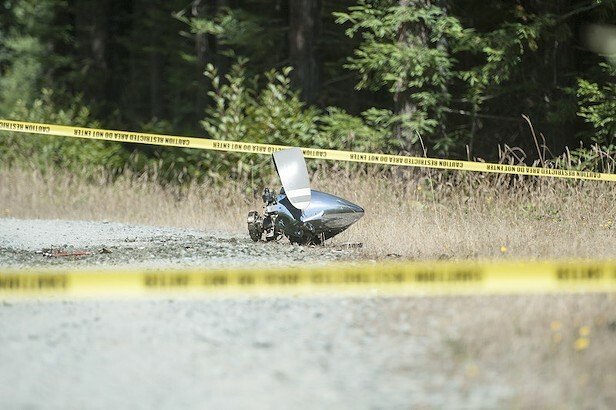 A preliminary review of archived radar and voice communication data from the Federal Aviation Administration (FAA) revealed that at 0058:12, as the airplane reached an altitude of about 15,000 feet msl, the accident pilot contacted Seattle air route traffic control center (ARTCC) and stated that he was going to turn back to Crescent City due to a smell of smoke in the cockpit. At 0058:26, the ARTCC specialist on duty cleared the accident airplane direct to the Crescent City Airport, issued him a descent clearance to 9,000 feet, and told him to let her know if he needed anything else. At 0058:41, the accident pilot said "okay," and he stated that it looked like he was going to lose some power shortly, and said he would keep her posted as long as he could. At 0058:52, the ARTCC specialist issued the Crescent City altimeter of 29.98, and then requested the total number of occupants on board, and how much fuel was remaining. At 0059:07, the accident pilot stated that he had smoke in the cockpit, declared an emergency, said he was depressurizing and was heading back to Crescent City. At 0059:21, the accident pilot asked the ARTCC specialist to call the fire department to have them standing by upon arrival. At 0059:25, the ARTCC specialist then acknowledged that crash rescue would be standing by at the Crescent City Airport, and she again asked how many people were on board. At 0059:27, the accident pilot stated that he had three on board. There were no further communications received from the accident airplane despite multiple attempts by the ARTCC specialist on duty. 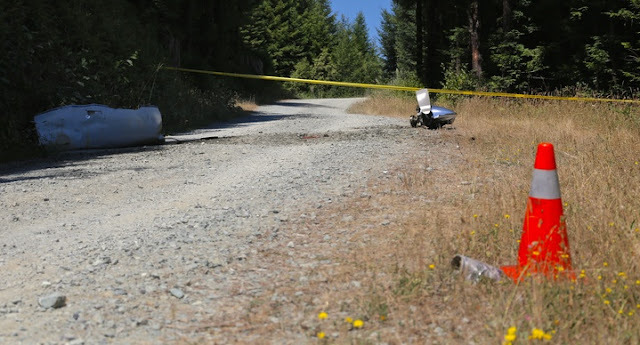 During a telephone conversation with an National Transportation Safety Board (NTSB) investigator, a witness located near Cookson Camp, Arcata, California, reported that in the early morning hours of July 29, she heard an airplane circling overhead before it eventually flew westward, which was followed by about 15 seconds of silence. While looking out the window of her tent, she saw a large dome shaped flash to the west, followed by another flash and a loud rumble. The NTSB IIC, along with another NTSB investigator, two Federal Aviation Administration safety inspectors from the Oakland Flight Standards District Office (FSDO), two representatives from the Humboldt County Sheriff's Office, representatives from Cal-Ore Life Flight, and an Piper Aircraft air safety investigator reached the accident site on the afternoon of July 30. The accident site was located in an area of brush and heavily forested terrain. Large portions of the burned and fragmented airplane were scattered along a debris path oriented along a magnetic heading of 354 degrees, which measured about 2,400 feet in length. The fuselage, inboard and outboard sections of the wings, vertical tail, and portions of one horizontal stabilizer, were located in separate locations and exhibited minimal impact damage. Both inboard sections of the wings exhibited postcrash fire damage. The fuselage and empennage came to rest on its left side and facing the direction of travel. The instrument panel and cockpit exhibited extensive impact damage. The cabin area of the fuselage was largely intact. Evidence of thermal damage was present in the forward section of the fuselage. A section of the forward fuselage, wiring, and associated components were removed and sent to the NTSB Materials Laboratory in Washington, D.C., for further examination. Both engines separated from their respective engine firewalls and sustained impact damage, however; neither engine exhibited any sign of thermal damage. Control continuity could not be established due to numerous fractures in the system, missing cabling and flight control surfaces; however, all the fractures that were identified exhibited features consistent with tension overload. 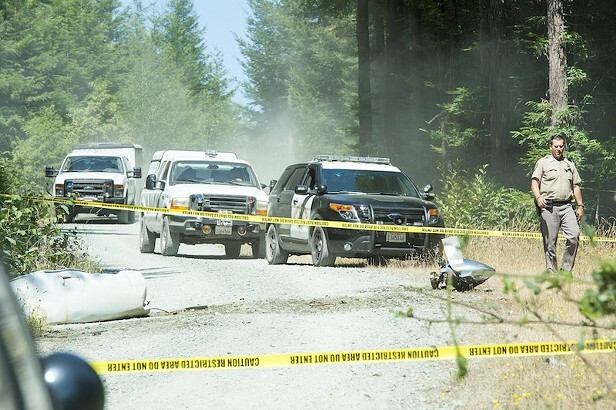 The closest weather reporting facility is Arcata/Eureka Airport (KACV), McKinleyville, located approximately 6 miles southwest of the accident site. At 0107, an aviation routine weather report (METAR) at KACV, reported wind 180 degrees at 4 knots; visibility 1/2 statute miles, mist; runway 32 visual range 4,500 feet variable to greater than 6,000 feet, overcast clouds 200 feet; temperature 55 degrees F; dew point 54 degrees F; altimeter 29.85 inHg.